Mr.Ronak Babaria who received GTU gold medal for GTU Electrical Branch topper 2018 pass out batch in whole Gujarat (CGPA 9.55). 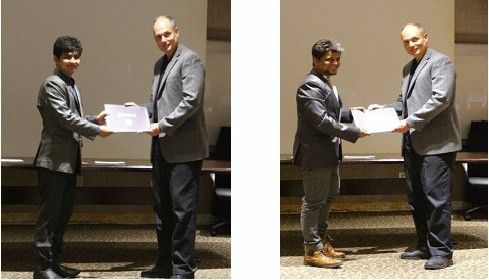 Mr. Dhaval Vekariya received Gold Medal for highest CGPA in BE Civil at Civil Engineering Department, BITS Edu Campus at the award function held at Gajjar Hall, GICEA Ahmedabad. 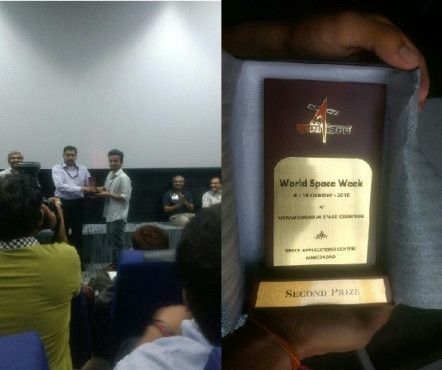 Ashish Jha (ECE 5th SEM) won 2nd position at the elocution competition which was adjudged by a panel of scientists from ISRO for the World Space Week. 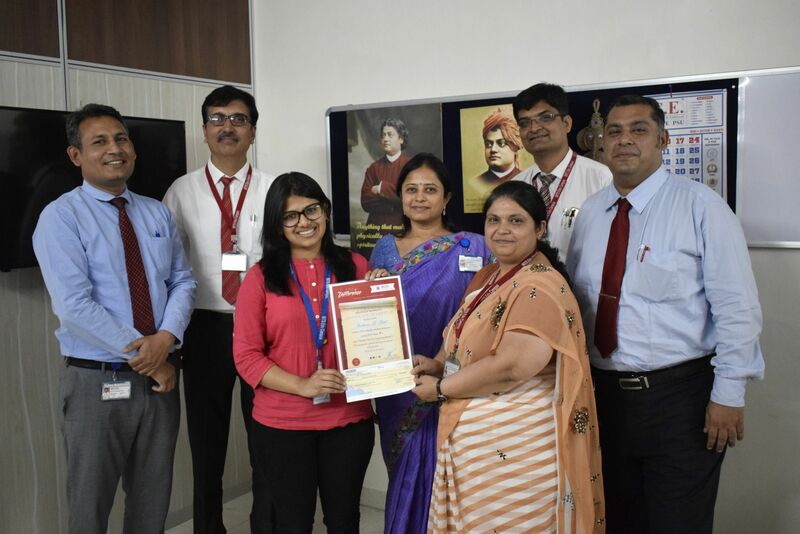 He was felicitated with a trophy and handbook on Vikram Sarabhai on 7 October, 2016 at VSSE, Ahmedabad. He competed with 17 teams from different reputed colleges of Gujarat. 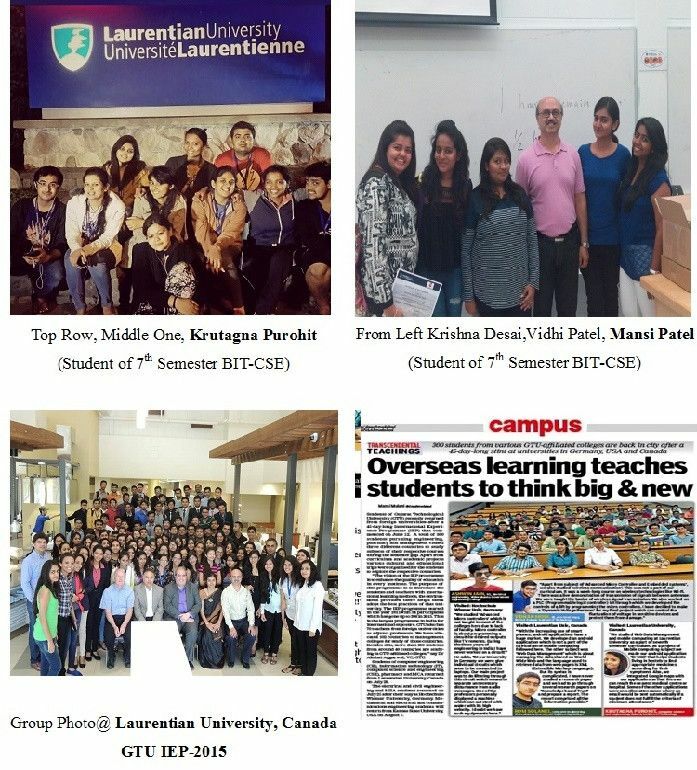 Due to the endless support of our Honourable Founder President and Chairman Shree Jagdishbhai Patel Sir and Respected CMD Shri Dhruv J. Patel sir this year Computer science and Engineering department of Babaria Institute of Technology take the pride in stating that following students participated in IEP program and visited University of Alberta and Laurentian University (LU), Canada from 15th June 2015 to 31st July 2015 and studied two subjects Web Data Management and Wireless Communication and Mobile Programming. 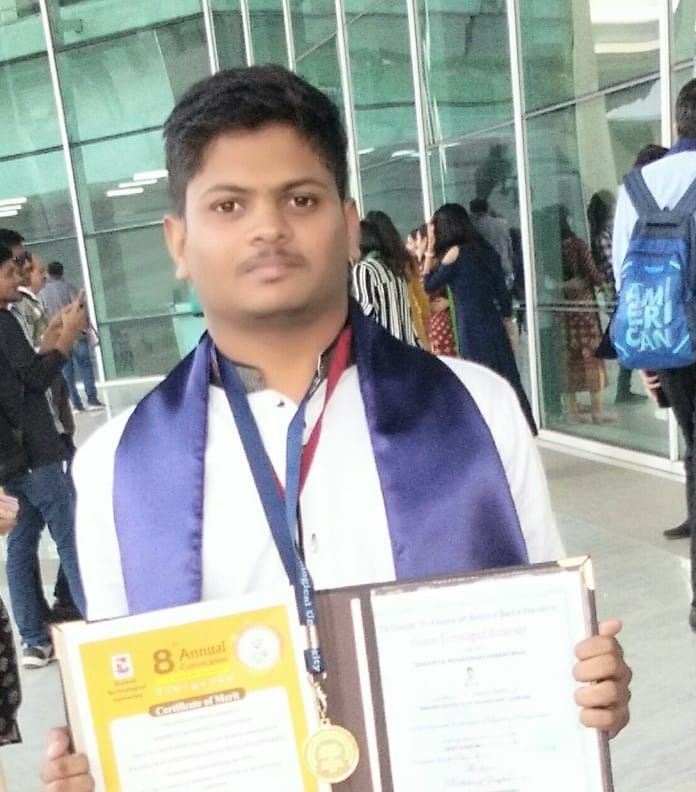 Ketul Patel, a student of ME (Advanced Manufacturing Systems) of Mechanical Engineering Department, BITS Edu Campus, received a Gold Medal, at GTU Convocation 2018. He scored CPI 9.21. 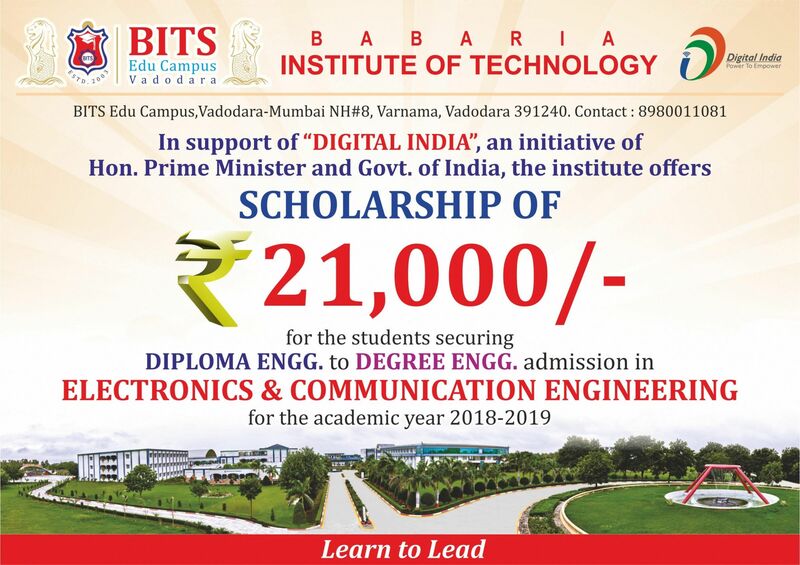 Mechanical Engineering department of Babaria Institute of Technology take the pride in stating that following students participated in IEP program visited K- State University from 12th June 2015 to12th Aug 2015 and studied the two subjects – Thermal engineering and Refrigeration and Air Conditioning(heating ventilation and air conditioning. 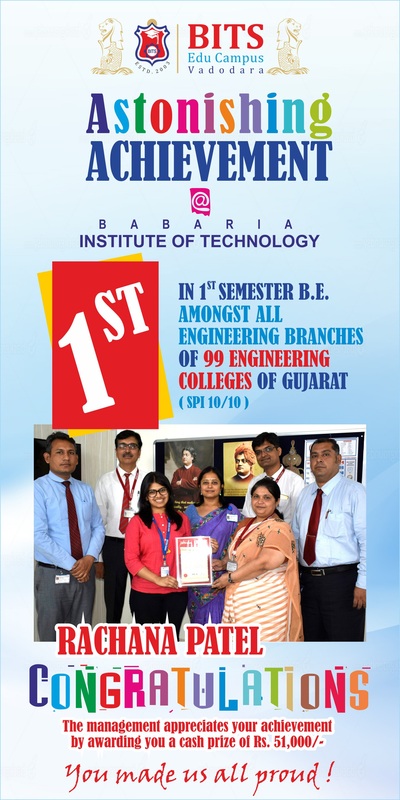 Certificate of Merit for Academic Excellence: Its, a matter of Proud to share the news that the Students of Computer Science and Engineering of Babaria Institute of Technology have been nominated for the “Awards for TOPPERS” in Late Shri Dewang Mehta IT Awards 2015 which were recently held for all B.E Students of Gujarat on 7th August, 2015 at GTU, Ahemedabad organized by GTU & NASSCOM.The awards were given to the four Students of Computer and EC branch who have secured first rank based on the SPI of the results declared in semester 2nd,4th ,6th and 8th. 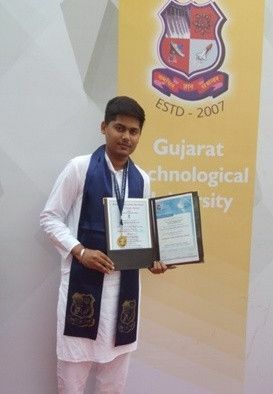 We are proud to announce that Vatsal Doshi, a student of Computer Science & Engineering, BITS Edu Campus, has received 2 gold medals as a branch topper and overall BE topper in the first batch of GTU. 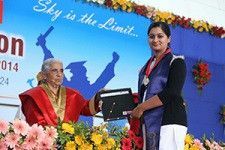 Vatsal stood first amongst 15000 students of 34 different branches from over 100 different colleges affiliated with GTU. 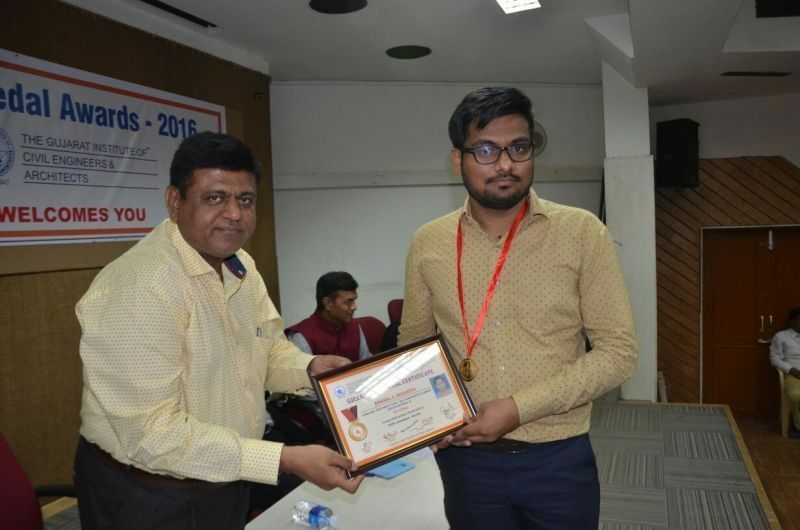 Earlier, Vatsal was awarded GTU Excellence award from GTU for his academic achievements. It’s an inspiration for all the students of BITS family and his success has made BITS Edu Campus stand high amongst other colleges in the zone and state. Congratulations to him for his hard work and achievement. 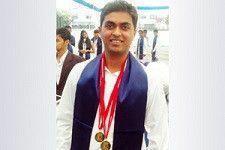 Nandish Joshi, Mechanical Engineering student, was awarded Gold Medal by Gujarat University for securing highest marks in the subject of Machine Design among all Mechanical Engineering students in University examination 2010-2011. 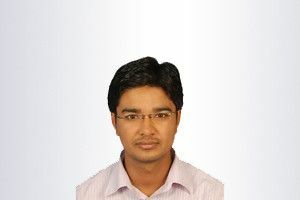 Shaishav Shah, Electrical Engineering student, awarded Five Gold Medals by the Gujarat University for securing 1st overall rank among all the Electrical Engineering students in University examination 2010-2011. 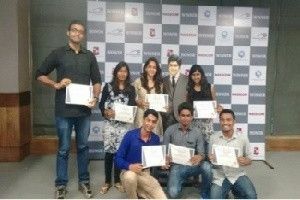 Tushar Kakaiya, Computer Engineering student receiving Gold Medal from Smt. Kamla Beniwalji (Hon. 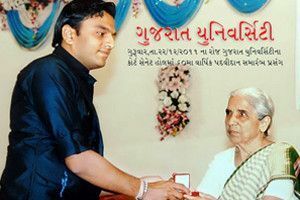 Governor of Gujarat & Chancellor) for securing 1st rank in Computer Engineering branch at Gujarat University examination 2011. 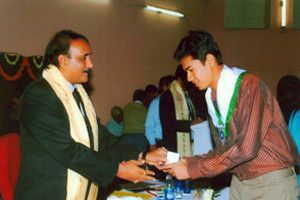 Maharshi Vyas receiving ‘Prof. K.K. Shah’ Gold Medal from Gujarat University Vice Chancellor Dr. Parimal Trivedi for securing 1st rank in Engineering Mechanics (FY BE) in all the branches of Engineering at Gujarat University examination. 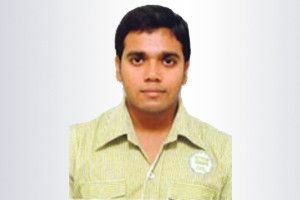 Kushwaha Amarkumar secured 1st Rank in first year Electrical Engg. 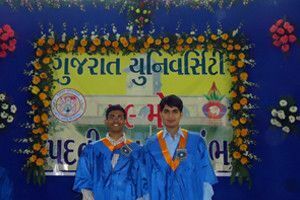 in Gujarat Technological University Examination-2011. 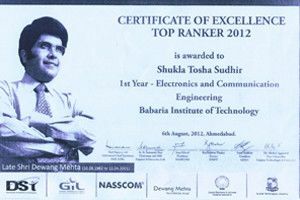 Shukla Tosha secured top rank in First Year EC Examination of GTU- 2012. 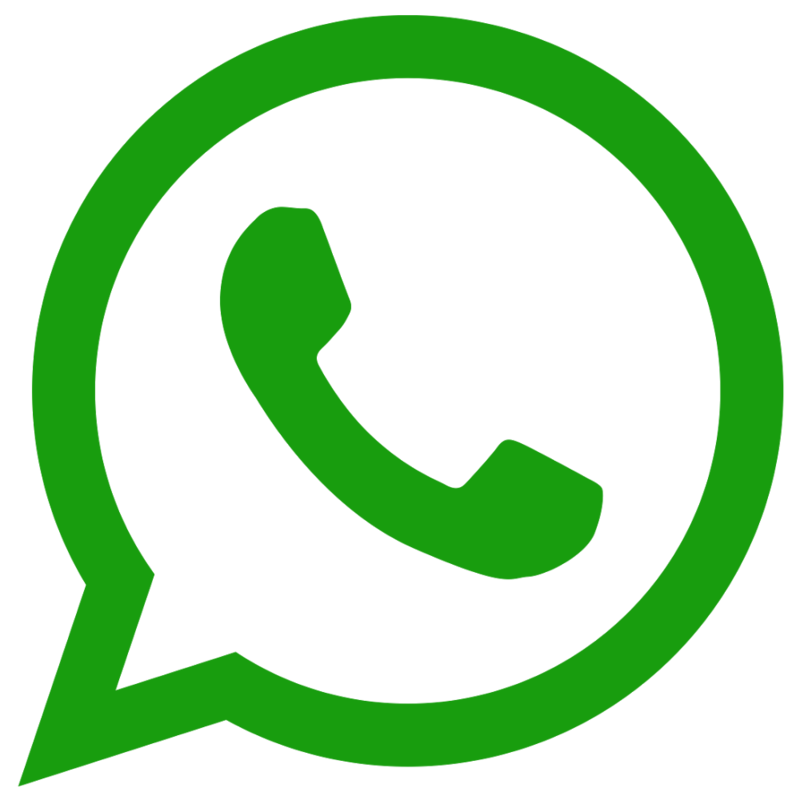 BIT secured 1st rank in zone and 3rd rank in Gujarat Technological University in 1st semester University examination 2009-10.